As you can see, some have not been updated for TFS 2013, but their content is still valid. The ultimate reference for TFS. A “must-have”. This book should not be missing on anyone’s shelve. 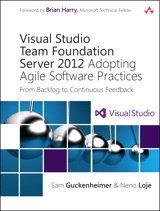 Written by the Product Owner of Visual Studio and Europe’s first MVP for TFS this book is recognized as a de facto guide for teams adopting agile practices. Sample chapters available for download. 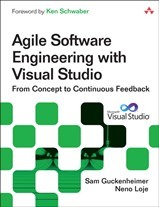 This book is aimed at test engineers, managers, developers, and folks interested in understanding the changing world of test. Note: This book is also available as a free download.